Older adults and their family caregivers should be constantly monitoring two things during the summer months - time and temperature. Keeping an eye on your thermometer and watch can help you know when it's safe to be outdoors. In most regions of the U.S., the hottest hours of the day are from 10 a.m. to 3 p.m. These are also the hours when the sun is most dangerous. On hot days, if seniors choose to go out during these hours, they must be certain to wear light, airy clothing, large hats that provide shade and protect their faces as well as sunglasses and plenty of suntan lotion. During the dog days of summer, it's not uncommon for the temperatures to rise to unsafe levels before 10 a.m. or after 3 p.m. 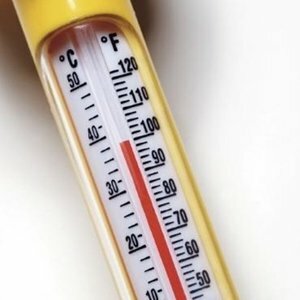 If you look at your thermometer and see that the temperature has climbed over 80 degrees or so, it's probably best to stay inside if possible. Also, be sure to check up on senior loved ones and remind them of these tips if you know they are regularly active outdoors. They may not be aware that they are more susceptible to heat stroke as a senior. There are certain events that may be particularly dangerous if held during extremely hot days. Summer barbecues, for instance, are quite popular during the months of July and August. However, because many older adults like to enjoy salty foods or cool cocktails during a BBQ, chances of becoming dehydrated at such an event are elevated. That being said, there's no reason that you can't move the party inside once the heat gets to be too much. Outdoor exercise can make working out fun and stimulating, but once again, it increases the risk of dehydration during the warm weather months. Even activities such as gardening can cause you to work up a sweat, so consider having an "indoor garden" of potted plants that you can tend to when it's too hot to be outside.